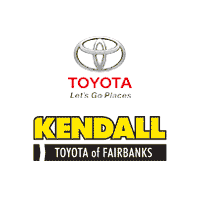 This outstanding example of a 2018 Toyota Camry Hybrid XLE is offered by Kendall Toyota Alaska. Stylish and fuel efficient. It's the perfect vehicle for keeping your fuel costs down and your driving enjoying up. This is about the time when you're saying it is too good to be true, and let us be the one's to tell you, it is absolutely true. You can finally stop searching... You've found the one you've been looking for. The Toyota Camry Hybrid XLE will provide you with everything you have always wanted in a car -- Quality, Reliability, and Character.